Our very own U.S. Senator Maria Cantwell said that she would oppose development of the world’s largest hard rock mine, the Pebble Mine, in Alaska’s Bristol Bay watershed should science determine it could negatively impact the salmon populations on which thousands of Washington commercial fishery, seafood processing, culinary, recreational fishing, and ecotourism jobs depend. Cantwell is the first U.S. 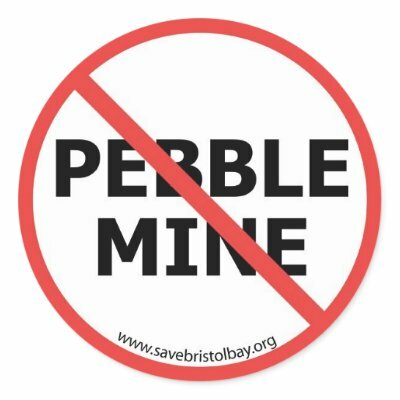 Senator to call on the Environmental Protection Agency to block any large development project in Bristol Bay – like the Pebble Mine proposal – if the EPA finds that this development would harm salmon and the livelihoods that depend on salmon. In a letter sent to EPA Administrator Lisa Jackson, Cantwell expressed her support of the EPA’s decision to conduct a thorough scientific analysis of the effect a large-scale development project would have on the Bristol Bay watershed, adding that the Bristol Bay salmon populations are “economic lynchpins” for commercial fishermen not just in Alaska but also in Washington state. Bristol Bay is one of the most productive salmon runs in the world, generating a total value of at least $ 500 million dollars each year for commercial and recreational fisheries. Thousands of Washington state jobs, including processing and the restaurant industry, depend on healthy, sustainable salmon populations. In 2008, Bristol Bay yielded over $ 113 million dollars in total value for Washington state commercial fisheries while recreational salmon fisheries yielded an additional $ 75 million for Washington state businesses alone.